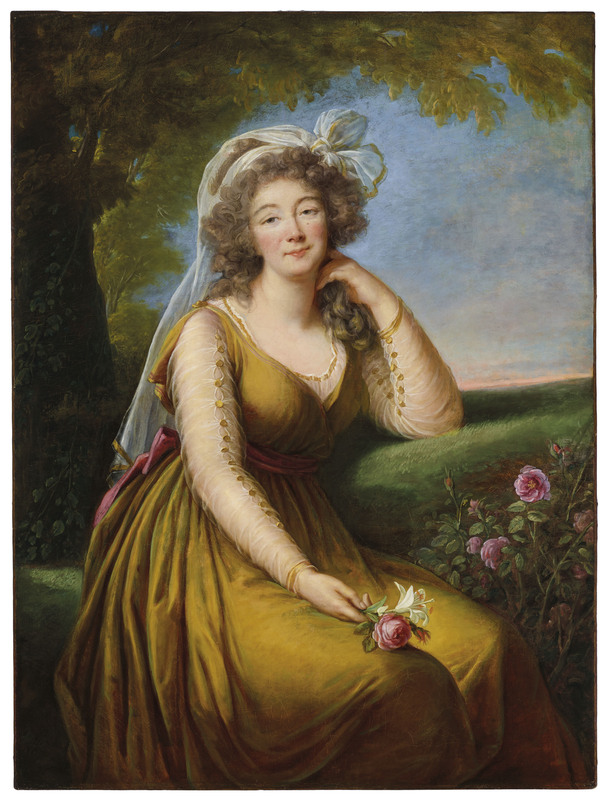 On May 1, Christie's will auction a portrait of Madame du Barry, the royal mistress of Louis XV, painted by Elisabeth Vigée Le Brun, the most expensive Old Master female artist. On January 30, Elisabeth Vigée Le Brun, the prominent French painter who is best known for her portraits of Marie-Antoinette, was crowned the most expensive pre-modern female artist when her Portrait of Mohammed Dervish Khan sold for $7.1 million at Sotheby's. Now, at Christie's Old Masters sale on May 1, another of her portraits will come up for sale, depicting Marie-Jeanne Becu, better known as Madame du Barry, who was the last mistress of King Louis XV. At the time the painting was made, Louis XV had been dead for 15 years, and Madame du Barry was living a secluded life, surrounded by the luxuries supplied by her former lover in a castle in Louveciennes, near Paris. And a new man in her life, Duke Hercule de Cossé-Brissac, presumably commissioned the portrait. Although Jeanne Becu was born as the illegitimate daughter of a seamstress in 1743, she quickly rose to prominence in elite circles as a courtesan because of her beauty. In 1769, the 25-year-old Jeanne was quickly married to Count du Berry because a title was required to become the official mistress of Louis XV. That same year, she moved into her apartments in Versailles, which were secretly connected to the king's personal apartments. 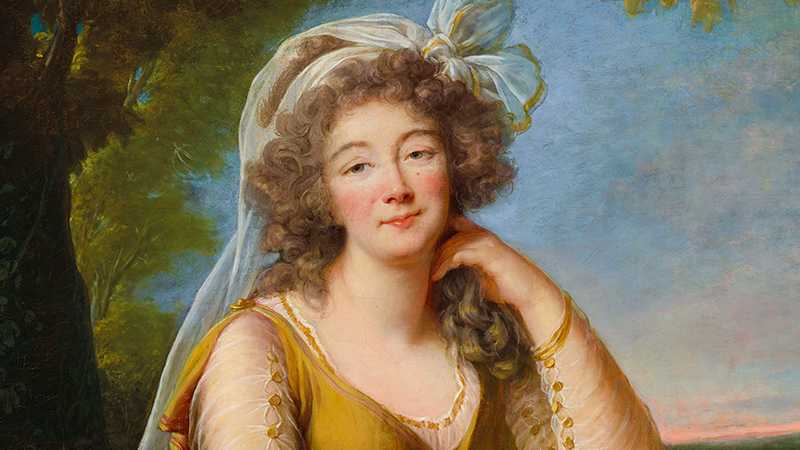 In her powerful position at the court of Versailles, not only was she regularly able to enjoy lavish gifts, but she also appeared as a patron of the arts, commissioning elaborate furniture, décor and paintings. 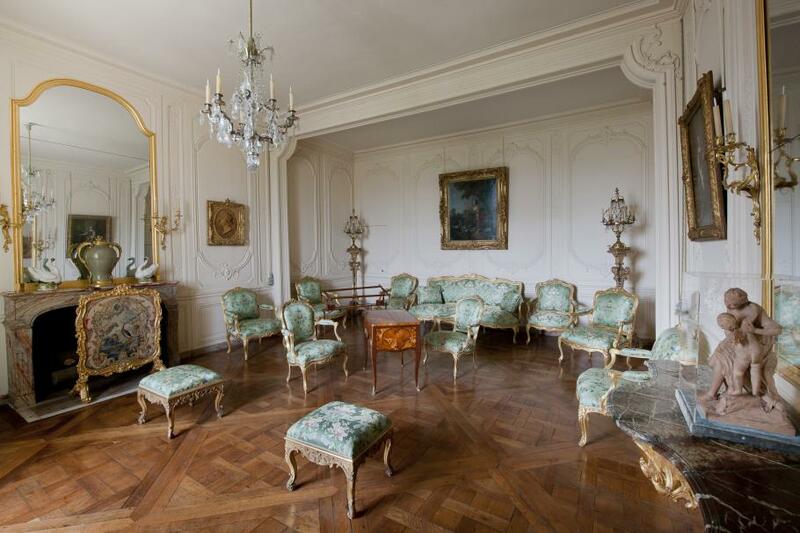 After Louis gave her a castle in Louveciennes, Madame du Barry had it expanded and decorated. 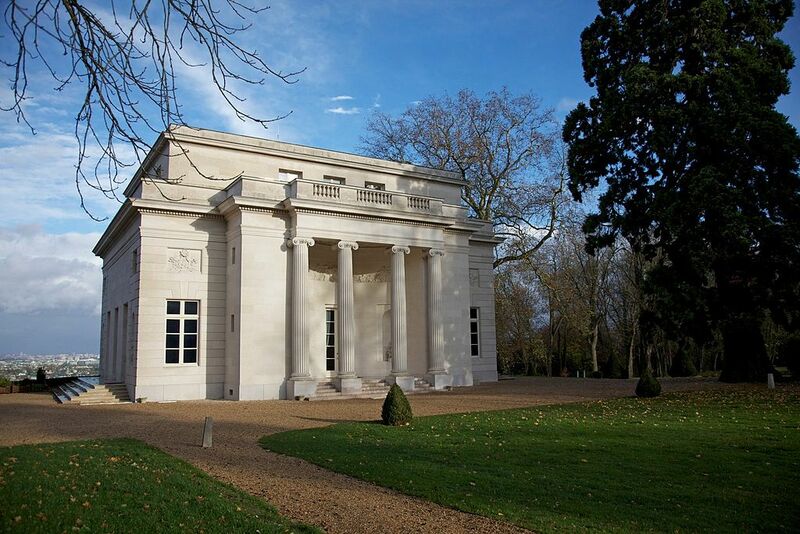 Of particular importance was the Pavillon de Musique, which was constructed in 1771 by architect Claude Nicolas Ledoux, and is now considered the prototype of French classicism par excellence. 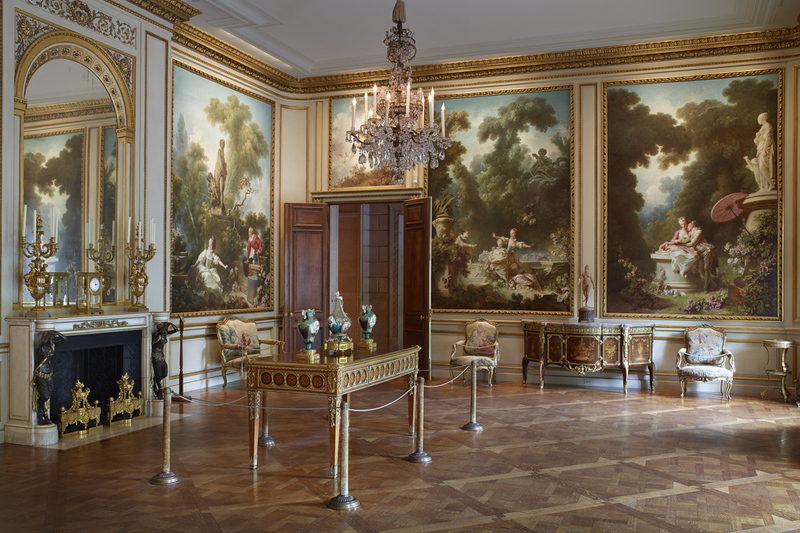 Another important artist commissioned to redecorate the castle was Jean-Baptiste Fragonard. For the pavilion, he was asked to create a series of murals. As a result, he delivered the four-part series The Progress of Love, a charming Rococo ensemble. The paintings were hung up at first, but were later rejected because the royal mistress thought them too frivolous. With a heavy heart, Fragonard took the works back and hung them up in his cousin's house in his native town of Grasse. Later they were purchased by J.P. Morgan, and today they are displayed inside the Frick Collection in New York. One of the most notorious criminal cases of the 18th century is the diamond necklace affair of 1785-86, which cost the innocent Queen Marie Antoinette her reputation. A scheming parvenu named Jeanne de Valois-Saint-Remy convinced a gullible Cardinal that Marie-Antoinette wanted the famous necklace but couldn't purchase it because of rumblings of the French Revolution. He paid for the necklace in installments and Jeanne then sold the diamonds on the black market. 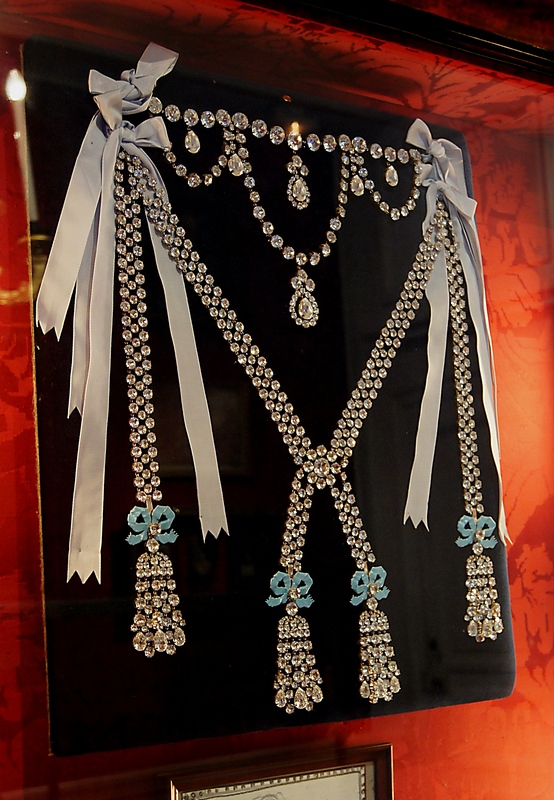 Forged letters by Jeanne testified to Marie-Antoinette's desire for the necklace, when in fact she had turned down the necklace twice when her husband Louis XVI had offered it to her. 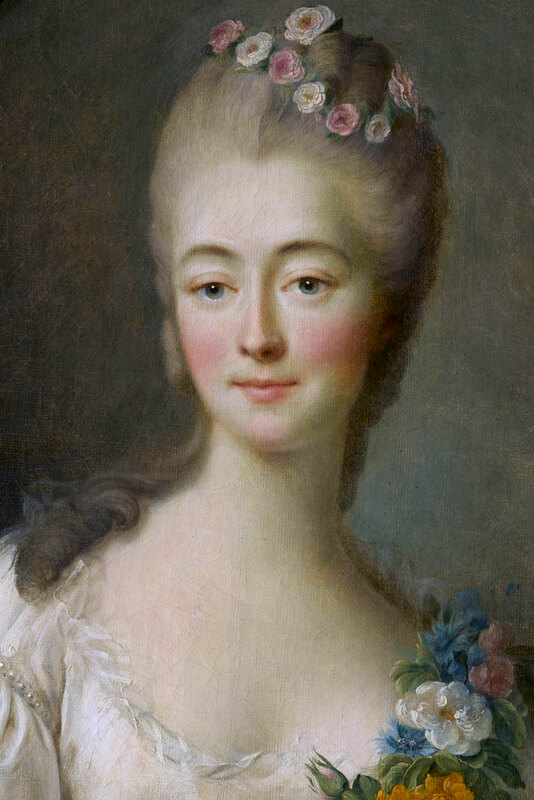 Although Marie-Antoinette was guiltless in the incident, her history of lavish expenditure led to much speculation among the French, leading to the downfall of the Bourbon monarchy and the 1789 Revolution. The oldest wax figure exhibited at Madame Tussaud's in London bears the name Sleeping Beauty and dates back to the mid-1760s. Supposedly, the future royal mistress, who at that time lived as a courtesan in Paris, was the model. Madame Tussaud herself, then called Marie Grosholtz, was said to have been the creator of the figure. However, it is more likely that the Sleeping Beauty was created by Marie's teacher Philippe Curtius, who she began working under at the age of six. 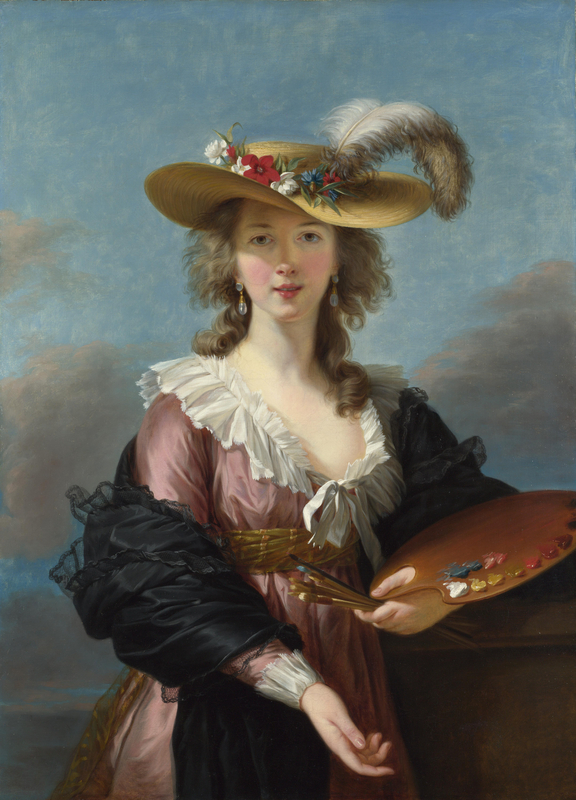 Beginning in the late 1770s, Elisabeth Vigée Le Brun was the most sought after and fashionable portrait painter in France. Marie Antoinette was famously portrayed by her many times, as well as members of French and European nobility. 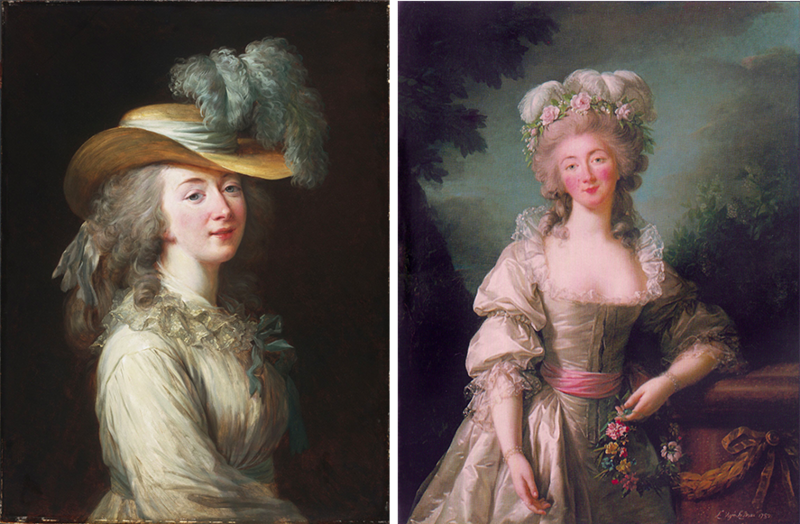 The portrait offered by Christie's is one of three portraits of Madame du Barry painted by Elisabeth Vigée Le Brun. The first, now in the collection of the Philadelphia Museum of Art, was painted in 1781 and depicts Jeanne in a similar style as a work of Marie Antoinette in a simple white dress with a straw hat. The second portrait, exhibited at the National Gallery in DC, dates to a year later and in it, she wears a floral wreath in her hair and a more formal gown. 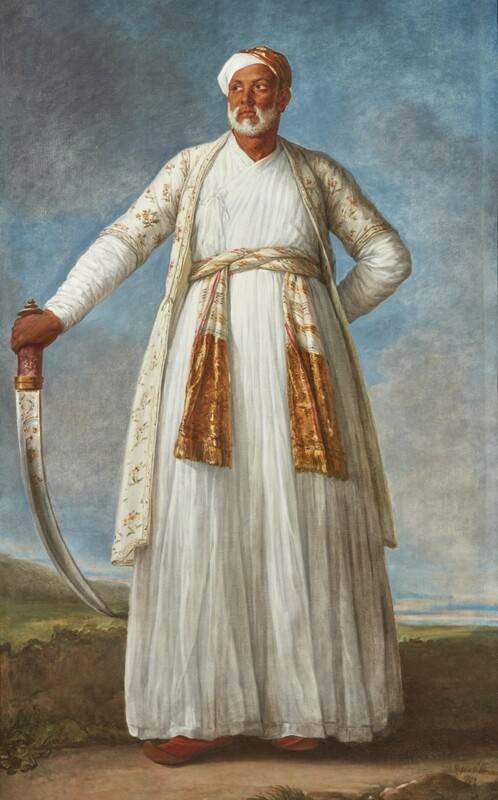 The final portrait was painted in 1789, the same year Vigée Le Brun finished her large-scale work of the Indian ambassador Mohammed Dervish Khan. This was the work auctioned on January 30, 2019 at Sotheby's in New York with a $7.18 million price tag, setting a new record for the artist. After Madame du Barry was beheaded during the French Revolution, the portrait changed hands among the French aristocracy and was most recently part of the Rothschild family collection. It is estimated to fetch $1-2 million on May 1.